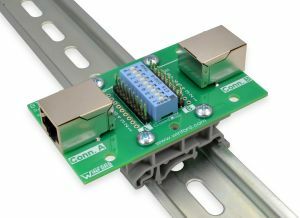 This board contains dual RJ45 (8P8C) connectors. 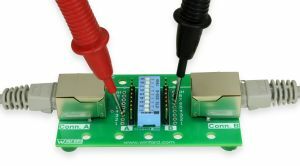 This allows for very convenient insertion into existing cable configurations. Approximate dimensions: 3.1" x 1.8"